Phoenix have just produced some new cube shaped gift boxes and selected my Present artwork as one of the three designs. They measure 115 x 112 x 112mm and are a masterpiece of paper engineering. 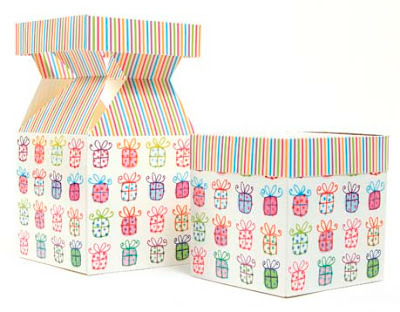 They retail at £4 for two boxes and would be great for gifts such as sweets, fudge or cookies. I know it's only just August, but I spend quite a lot of the year thinking about and designing for Christmas. The new products for Phoenix are now out. There are two die-cut cards both sold in packs of ten. 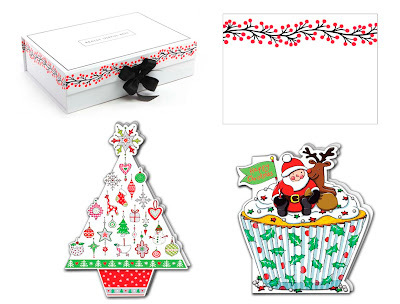 The Nordic Tree is £4.25 per pack and the Santa Cupcake is £2.75 per pack. Following the success last year of the Red Berries card design, it is now available as a pack of ten postcards for £4 and as a rather wonderful memento box (340 x 245 x 95mm) for £10. 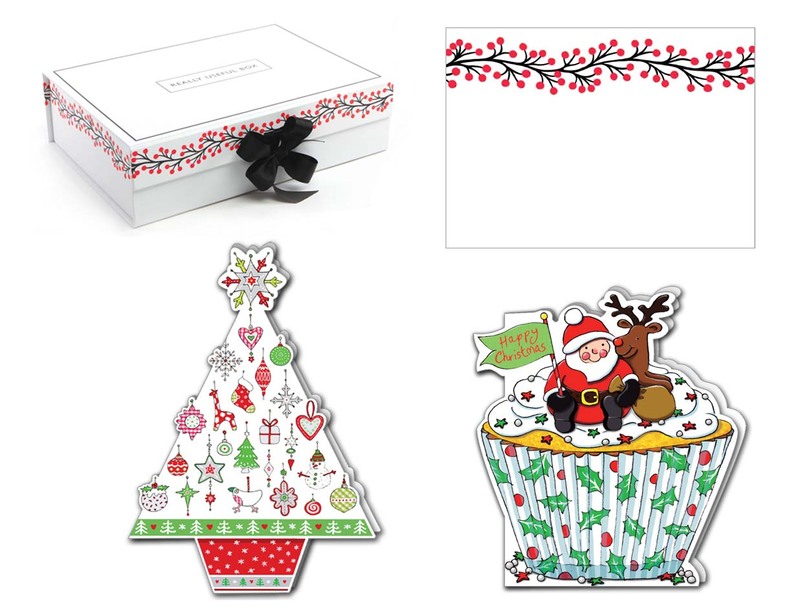 The cards have sold out but it is still available as 4m roll wrap for £3.50 with matching tags for £2 per pack of ten. See the posting in September last year for images of the wrap.